Just in, our first group of baby birds from our breeder of over 40 years! 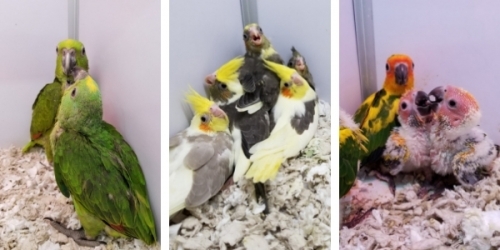 This first group includes Yellow Nape Amazons, Sun Conures, Green Quakers, Blue and Violet Ringnecks, and lots of Extra Fancy Cockatiels. All babies will continue to be hand-fed in store until they are ready to go home.